The late David Bowie keeps on giving us gifts from the grave. Or, rather, his conscientious mind before he left us has. This past Saturday, on what would have been his 70th birthday, the world was given another released from the deceased pioneer. The ‘No Plan’ EP features three songs that represent the last recordings by the man who played Ziggy Stardust: the title track ‘No Plan’, ‘Killing a Little Time’ and ‘When I Met You’. ‘Lazarus’, of course previously available as a track on and a single from the 2016 ‘Blackstar’, is fittingly included here, as the aforementioned trio of songs were all previously available publicly as part of the cast recording of Bowie’s musical of the same name. However, these versions have Bowie’s own voice rather than the actors appearing in the Broadway work. Following such a terribly tumultuous year we had in 2016 that was punctuated from the start with his death, it seems like we’ve come full circle with another present bestowed upon us by Ziggy to start 2017. Watch the music video for title track ‘No Past’ below. To refresh your memory and to read through our past coverage of David Bowie on TGTF, use this link. People. I think we need to have a serious conversation about the Mercury Prize. Last year, our Steven wrote this thought piece about how he felt tastemakers weren’t doing the general public any favours by choosing underdogs and acts we’d never heard of instead of popular favourites. Where was the public’s say in all of this? Well, for 2016, it definitely sounded they’d taken what Steven had said to heart. In an unprecedented move in its silver anniversary year, 11 of the 12 nominated artists this year were either household names and major label signings, or at least a major festival draw in the case of Savages, who are signed to Beggar imprint Matador. 2016 has not been kind to us. In addition to losing Prince in April, we also lost David Bowie, the most beloved weirdo alien in Ziggy Stardust. One needs only to look at how Bowie decided to hide his cancer from the world, only his closest family and himself holding on to that kernel of knowledge until the very end. He must have done this on purpose, so the anticipation towards ‘★’ would not be unfairly tainted by any questions on what influence his impending death might have had on the final product. When the shortlist of 12 nominated albums was unveiled last month, I was honestly initially struck with surprise that ‘★’ had been nominated. Or maybe I shouldn’t have been? Maybe I should have assumed that Bowie, having such a far-reaching impact from his many decades and albums of influence over countless fans and musicians, would automatically be nominated? What I found even weirder were the countless Tweets and messages I saw following the nominations announcement saying Bowie deserved to win. Um, sorry, David. I was more interested in the acts still alive that I might be able to see perform one day. However, Michael Kiwanuka, Laura Mvula and Radiohead seemed way too safe bets. Not just one but two grime acts, Kano and Skepta, were recognised for their contribution to a genre that had begun in East London a decade ago. Add in the astonishing inclusion of the 1975, the Manchester band much derided for their foaming at the mouth fans and suddenly, taken together, this all suggested to me that this was going to be one interesting match. 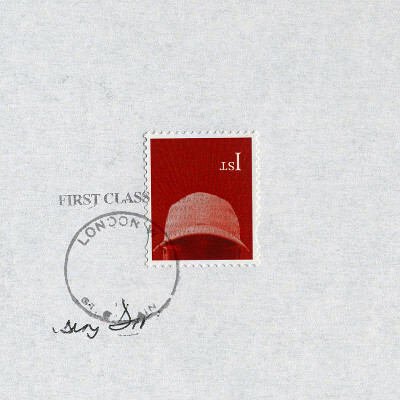 After all that was said and done, it was Skepta and his fourth album ‘Konnichiwa’ who proved victorious. Indeed, judging from the post-ceremony reactions last night, it was quite an arresting ‘hello!’ from the Tottenham artist to those unfamiliar with not just him but with the entire genre. As I predicted, there were many public calls that Bowie had somehow been robbed of what had been rightfully his, and by some guy they’d never heard of, of a genre that they’d heard of either and therefore meant nothing. However, there is no escaping the argument that had ‘★’ indeed been chosen as the winner of the 2016 Mercury Prize, there would have been enough detractors accusing the tastemaker panel of the sympathy vote. Frankly, it would have been lazy on the panel’s part, had they given the Mercury to Bowie. Full stop. Skepta could have very easily gone the route of Young Fathers 2 years ago, choosing to say very little, such that there would be so little room for him to be criticised. However, despite being in shock upon the announcement he’d won, he took to the microphone with relative aplomb. He used the opportunity of all eyes of the music world on him to say “Thank you to everybody who was there for me when I was going through depressed times. I don’t know man, I’m so thankful…” And in a moment of poetic beauty, he concluded his acceptance speech by honouring both Bowie and the late Amy Winehouse. In a conversation with NME after winning the award, Skepta was very clear that his award after coming from such humble beginnings should be a call to action for young people: “I want them to be themselves…When old people are telling them to be quiet, and old people are telling them they’re not right, and people who just don’t understand kids are just saying stuff to them [to suit] their own boxed-in lives, I want the kids to be like, ‘No. Do you know what, Skepta showed me that I just need to do and say how I feel. Because you only get one chance to say how you feel, you know.” Now, who do we know (or rather, who have we followed) that might have said something like that? “OK, I have the result here. But, I’ve got to tell you a little bit of a story before I let you know whose name is inside here. OK? Now, myself and my fellow jurors, about 4 months ago we started off with 223 albums. We had to listen to those and that was whittled down to the twelve that you’ve seen performances from tonight. But in the end, the winner came down to a contest between two black stars. At the end of the day, the Mercury Prize is a piece of metal on a shelf, another subjective award given to a musical act. For those who really wanted – and expected – Bowie to win this year, I have to ask, what exactly did you hope would be achieved from ‘★’ winning the gong? By awarding it to someone else, someone like Skepta who can and will undoubtedly inspire future generations to be inventive, to be outspoken leaders, to be trailblazers, to be someone who will make a difference to others? That, my friends, is the real prize. Before this review managed to be published to the everlasting internet, something that no-one could have been expecting in their wildest dreams happened. David Bowie sang us his last song. The words below in this review take on more meaning and the depth to which this album touches upon, such as eternal living, being reborn and taking your final bow are apt more than ever. This is what he wanted. To the very end, he was an artiste who lived doing exactly what he wanted. We should celebrate everything that he represented for over 50 years. Go, buy a Bowie record (Rough Trade are donating every penny from a Bowie record purchased with them to Cancer Research UK), immortalise the man who sold the world and enjoy this final read. Now on his 25th album, there’s not a whole lot of things left that David Bowie hasn’t attempted. In his 69th year on this earth, he’s finally given us something we neither knew we needed or wanted and that is a record that, if you really had to define, at its most common points is jazz. Of course, calling it jazz would to be doing both Bowie and the genre a dishonour. Bowie simply does not abide by normal conventions, and that is exactly why we love him. The album itself is just shy of an hour long at 52 minutes, which is impressive considering it totals only 7 tracks. Seven tracks of pure, unadulterated Bowie-jazz. Conjuring imagery of a dystopian future, where big cities are reminiscent of dirty metropolises. Opening title track and early single ‘Blackstar’ is the longest cut on the record at 9:58. It’s sprawling, haunting and at times you can get lost amongst it but for the most part it functions as a mood setter, an atmospheric palate cleanser so-to-speak. It gets you ready for the next six songs, and if you’re really struggling with this one watch the companion video that was released. The use of an experimental jazz group, informally known as the Donny McCaslin Group, certainly gave a solid foundation for Bowie to craft this artwork upon. They pair well with the orchestral arrangement featured on a selection of the tracks, melding sonically to create a sound that is only fitting for this record. ‘Lazarus’ has been the biggest feature on the album so far, after spawning an off-Broadway play and a hauntingly apt video, it’s the most accessible cut for anyone looking for an easy way in. Fittingly for what has been described as an experimental jazz album, saxophone is used as a predominant feature, even with a sultry solo in the final quarter of the song, while in the lyrics Bowie could be describing very clearly what was his rise/fall/rise in the 1970s with his drug addiction. Lazarus itself, a tale of falling down to earth, is not new to him. There are two familiar names on this new record, ‘’Tis a Pity She Was a Whore’ and ’Sue (Or in a Season of Crime)’, with both having been released previously as a stand alone 10” single for his last release, the compilation album ‘Nothing Has Changed’. Here they have been re-recorded, and in particular, ‘Sue…’ has become a more ferocious reworking. There is much more urgency in the instrumentation, where it builds and builds to a crescendo featuring a barrage of noises, from synthesisers and guitar feedback. ‘Girl Loves Me’ harks back to Bowie’s obsession with Nadsat, the fictional language from Anthony Burgess’ novel ‘A Clockwork Orange’. With the bulk of the lyrics written using this, along with added Polari (slang used in gay culture in the 1960s), it’s hard to truly decipher, but the prowling percussion and rhythm section create an aggressive surrounding that helps you understand the feeling. ‘Dollar Days’ and ‘I Can’t Give You Everything’ are cut perfectly together, with the outro of the former leading perfectly into the latter. On ‘I Can’t…’, sparse harmonica introduces the finale that, if it were the last song on his last record ever, would be completely and utterly perfect. He’s given us his mind and body for almost 50 years and at times this record can feel almost like a swan song. This is everything we could’ve expected from a Bowie album released in 2016. It’s developmental, experimental and odd. This was his farewell to us. Love this gift that the man who fell to earth bestowed upon us, for, as hard as it may be to realise, this is it. 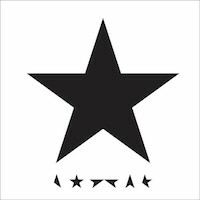 David Bowie ‘★’ is out now via ISO, RCA (UK) and Columbia (US). For past articles on TGTF on the late, great visionary, go here. It has now been over 24 hours since the shocking announcement of David Bowie’s passing at the age of 69 from liver cancer. Chances are by the time you read these words, you have read loads of tributes, drafted up by journos, provided by celebrities who knew Bowie personally, plus those by your friends and acquaintances who grew up with and were influenced by his music and style. If you’ve listened to the right radio station(s) (*cough* BBC 6 Music *cough*), you’ve also had sonically the most enjoyable stroll through time, through his celebrated catalogue. It’s not my intention to repeat what has already been said and what has already been written. You can read plenty of that now all over the internet. (If you’re looking for an excellently written article on his legacy, or if you’re just looking to read more on him, I recommend my friend Dorian Lynskey’s piece for GQ, ‘David Bowie was the vanguard of popular music’.) On my way to work yesterday morning, stunned in hearing just minutes before of Bowie’s passing on a breaking news segment on local news radio, I contemplated how I might go about paying appropriate tribute to a man who meant so much to so many people, and over such a long, storied career. It’s the herculean task of *all* herculean tasks. As I edited our Steven’s review of Bowie’s last album ‘Blackstar’ this weekend (you can read this as it goes live in an hour, at noon today), it blew my mind that this was Bowie’s 25th album. 25th. Contrast that to the current landscape of the music industry, where most pop artists are lucky to put out two or three albums before their record label gets all anxious about their profit margins and drops them. 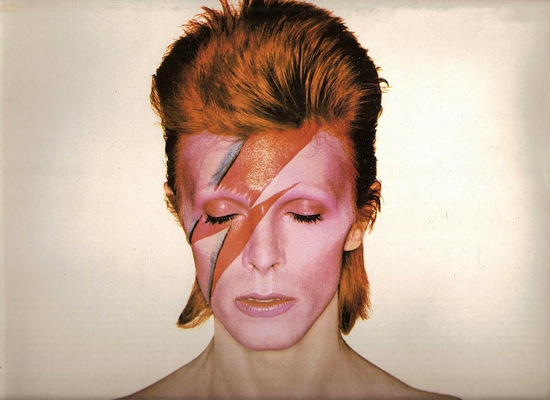 All hats are off, and deservedly so, to this great man’s incredible talent, unstoppable creativity and audacious courage in going against the grain, going completely into character with his unforgettable, colourful, androgynous persona of Ziggy Stardust, for one. But the Bowie characteristic I relate to most that I worry might get lost in all of the posthumous celebration of his life was his prolificity. He never wanted to rest on his laurels and retire on the royalties from his biggest hits (‘Heroes’, ‘Changes’, ‘Let’s Dance’, just to name three), though we all know he could have easily done so. He could have spent his last years comfortably gazing out the window of his New York apartment and watching his young daughter grow up, and we wouldn’t have flinched. He didn’t have to, but he kept working. And worked unbelievably hard. It is absolutely astonishing to consider that over the last year, as he continued his involvement with the off-Broadway musical whose script he cowrote with Enda Walsh, Lazarus, and was a key player in its development, all the while he was battling bravely with cancer, and in secret. As someone with a chronic illness, I can’t even imagine what it must have been like to have to conceal something of such significance about his life, that he knew his days on this earth were numbered, that he could not let on to anyone beyond his immediate family. This was a concerted effort to suppress the knowledge, so that the appreciation of his latest creation could not be affected by the eventual finality of his passing. As we feel the pain and mourn the loss of Bowie, there is some comfort to be found in the fact that even at the very end, he remained a true artist and although his life was sadly cut short by a terminal illness, he left us on his own terms. As he did with everything else in his life. There was no-one else like David Bowie when he was living, while he was on this earth, making music, changing his look and image, crafting his art. He was different, celebrated difference, and allowed the rest of us to be okay with and accept our own differences. And there will never be anyone like him ever again. So it’s that time of the year again when musicians start to surprise release what they’ve been working on. These albums are generally more enjoyable and (I use this term in the loosest sense) honest than other comeback albums that have been drip-fed to us via screenshots, studio bants and snippets for months. Take Beyoncé’s 2013 self-titled album. It was far more engaging and enjoyable than ‘4’, or ‘Sasha Fierce’. Part of this was down to the out-of-the-blue nature of it release. David Bowie has announced he is releasing his 25th album next year called ‘Blackstar’. So far, all we have to go on is the title track. Even by Bowie’s standards, this is a little out there. ‘Blackstar’ is Bowie going back to art rock and avant-jazz avenues, as he tells an ad hoc story for just under 10 minutes. There are flourishes of jazz, rock, pop, drum and bass and Gregorian chants. The video is equally out there, featuring astronauts, priests, women with tails and bizarre rituals involving jewel-encrusted heads. The main problem with ‘Blackstar’ is that it sounds like two half-finished ideas stapled together under the guise of the avant-garde. While this is all speculation, as I have no idea about Bowie’s inner workings, the single does feel like a slightly rushed job, or he had the idea for the video and wanted the music to reflect back on the video somehow. Overall as a song, it doesn’t feel cohesive, and the transition from the first part to the second is a bit jarring and could have been smoother. While ‘Blackstar’ sounds more exciting and vibrant than 2013’s ‘Where Are We Now?’, it still comes across as stagnant, somewhere between a desperate mix of Philip Glass, Lou Reed’s changeling ‘Lulu’ album and recent work by Scott Walker. In the past, Bowie was known a game changer, but because he’s not pushing himself now, it appears that he’s just copying someone else’s style and ideas rather than try and push the envelope himself. Sadly, it’s coming off second-rate, as what he’s copying is something so good and original in the first place. If this was any other artist, we’d happily accept this, but as it’s Bowie, the man who sold the world, we expect a bit more. We expect fully formed ideas and concepts rather than improvised, makeshift studio shenanigans. Go away, David, and come back when you know what you’re trying to say. ‘Blackstar’, the new single by David Bowie, is out now. His new album of the same name will be released on the 8th of January 2016 on RCA. David Bowie‘s latest video is for “the Venetian mix” of ‘I’d Rather Be High’, which appears on the now available deluxe edition of his album released in March, ‘The Next Day’. The spliced together bits of old footage of war and wartime might give you a headache, just saying. Watch it below.